Limited over-stretch designed to return to original length. Silicone Grip Print - Reduces slipping around ankle. 3MM Neoprene Padding - Thin, light and comfortable. Low Profile Moulded Velcro - Stronger & more reliable. 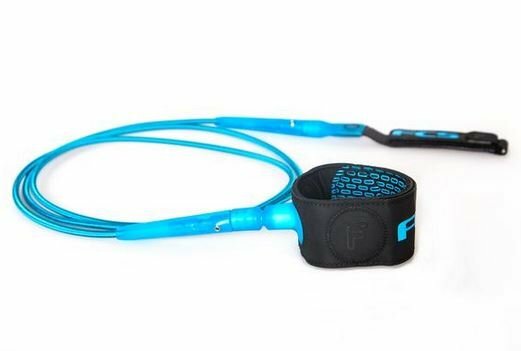 Every element of the leash has been re-designed for maximum performance and comfort to help you surf free. Specifically designed for wave heights under 5ft. Foam filled, light and shock absorbing. Extended horn length to reduce tangling. Less drag, thinner & lighter.